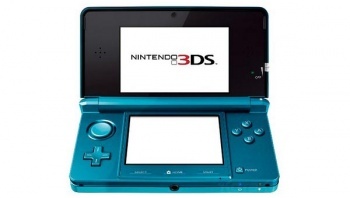 3DS sales put the quirky handheld on par with its predecessor. You've got to hand it to Nintendo; it knows how to make a system move. In spite of a lackadaisical launch, a controversial price cut, and a slow burn on releasing AAA titles, the occasionally eye-straining handheld has sold over 6 million units in its native Japan. The system is not exactly flying off shelves like the Wii did many years before it, but its current rate of sales puts it roughly on par with the original DS, and miles ahead of the now-archaic GBA. Much like its sales in the U.S., the 3DS started off slow in Japan but has been selling at a steady clip since its price drop. Between February 26, 2011 and May 20, 2012, the device sold a cool 6,017,206 units in the Land of the Rising Sun, having beaten both the GBA and the DS to the 5 million marks a few months back. To put this in perspective, the original DS also took a little over a year to hit 6 million sales in Japan; the GBA took even longer. While some early 3DS critics decried it as the next Virtual Boy, it seems to be selling well enough for now. Bolstered by Mario and Zelda games with titles like Kingdom Hearts 3D and Luigi's Mansion 2 on the horizon, Nintendo's position as a strong - if not dominant - player in the handheld market is safe for the moment. Apple and Google still have their sights set on the mobile market, however, and who knows? The Vita could still turn things around. Maybe.